I had heard that Belissimo was one of the best places for coffee in New Farm. As it is bursting at the seams with hipsters I thought I’d give it a go. And for once they were actually right. As summer is well and truly upon us I decided to have a house made cold pressed coffee from Bellissimo $5.50. It wasn’t sweet enough for my taste but the coffee flavour was strong and good. I like to think I have fairly good self control. It’s not often that I go somewhere for a coffee and come out with more. Although at belissimo I thought I’d need a trolley. The sweets selection was homemade and fresh. I decided to try their avocado and Halloumi on thick sourdough $7.50 which arrived at around the same time as everyone else’s hot coffees! 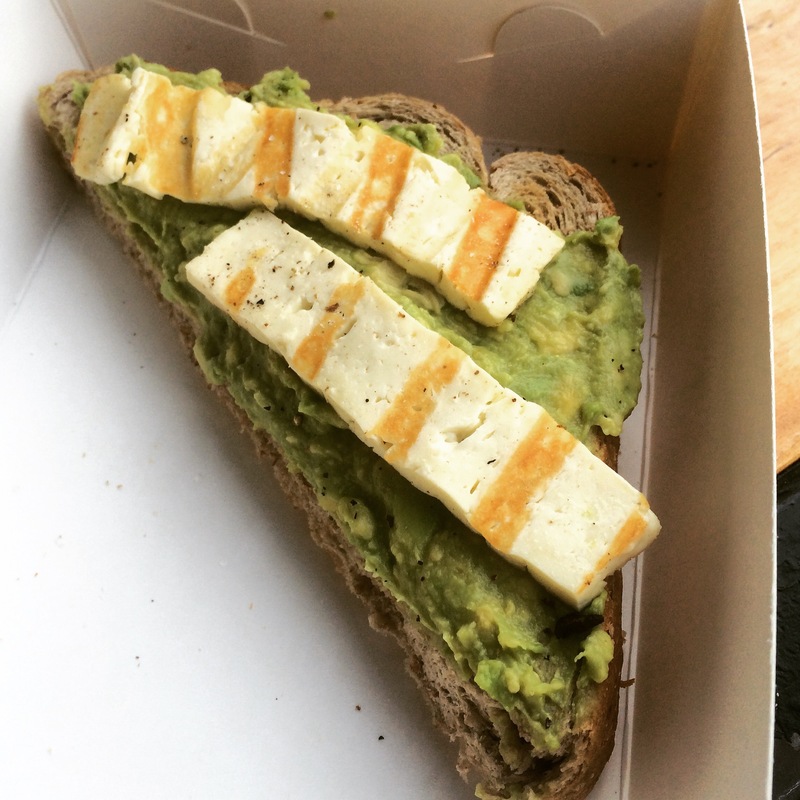 The avocado was smooth and zesty and you can’t go wrong with Halloumi. I didn’t have the full dine in experience but the staff were friendly and happy to help with any queries I had. Belissimo is located On Wandoo Street which is directly parallel to James Street. On street parking is available although it is metered. If you are shopping along James St you could park near those shops and walk. At first I thought there was a lack of dining options until I realised the cafe is actually multi level. The upstairs loft space is friendly and cosy. The Verdict: I am going to admit it, the hipsters have done well here. I can see Belissimo becoming a regular spot of mine. I love that they are open until 6pm! The food was perfect for grab and go. Overall 8/10. Heard about here but not tried it, think I should give it a visit this coming weekend. Thanks for the review.